Sleep Apnea and snoring could be robbing your child of the restful sleep they need to grow and develop. Sleep disorders tend to run in families and are more common in children who are obese, have a small jaw, a large tongue; also children who are exposed to second-hand smoke, or those who have Down Syndrome or Cerebral Palsy. 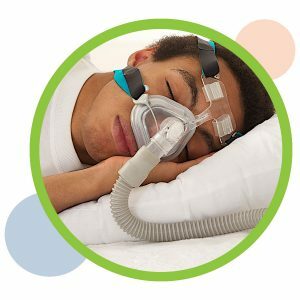 Sleep Apnea is when a child stops breathing frequently or for longer periods during sleep. Another more serious form of Sleep Apnea (Obstructive Sleep Apnea) is caused by an obstruction in the airway. Disrupted sleep is a common in children and can lead to learning and growth problems if left untreated. Children with interrupted sleep may struggle with irritability, difficulty concentrating, hyperactive behavior, bed-wetting or sleep-walking due to a lack of quality sleep. Approximately 10 percent of children snore regularly when they sleep. Snoring is not always indicative of a medical problem, but it certainly can be an indication. Enlarged tonsils and adenoids are a common cause of childhood snoring. Snoring is also an indication of Sleep Apnea. If you suspect your child is having trouble sleeping because of Sleep Apnea, call Pediatric ENT of Oklahoma to make an appointment with one of our sleep experts.